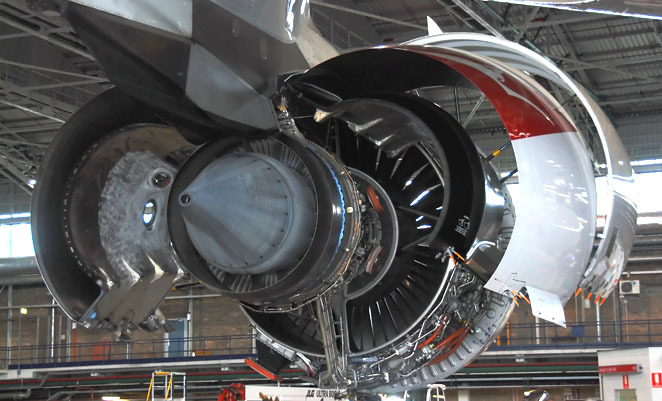 Rolls-Royce has found a fix to its troubled Trent 900 engine in the wake of last week’s uncontained failure of one of the engines on a Qantas A380, Airbus chief operating officer – customers, John Leahy, previewed media in Sydney on November 12. “Rolls knows they’ve found the solution to what caused the problem,” Leahy, in Sydney for Qantas’s 90th anniversary celebrations, said. “Oil could leak out of an engine bearing box,” he explained. 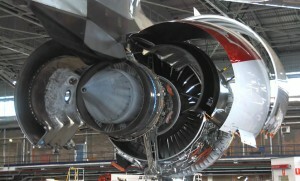 As an interim fix, Rolls-Royce has developed a software change to the engine’s FADEC system which will pre-emptively shut down an engine should it detect the preliminary signs of a failure. A more permanent fix will involve removing affected engines and disassembling them to fix the affected area, although Leahy couldn’t say how long that process would take per engine. New Trent 900 engines will also be removed from A380s on the production line in Toulouse and swapped onto airline customer aircraft replacing affected engines, although Leahy didn’t expect that process to affect the delivery of three A380s due to Qantas before the end of the year. Leahy said engines on the production line have been built to a later design standard, and aren’t expected to have the same fault that led to the QF32 failure. “These are all to a new build standard and they should not have any issues,” Leahy said, “we think the engines on the production line are fine”. Subsequent to Leahy’s comments, Rolls-Royce issued a statement detailing further information about the cause of the failure. “I am now delighted they have found a solution,” Leahy said. “release of the IP turbine disc”……….good grief, talk about understatment. How does an oil fire do that? If RR knew there was a problem with the module how come Qantas and SIA didn’t know? Why was there a up grade to the design standard that would now resolve the leek problem? Perhaps it was known there was a potential problem hence the up grade.